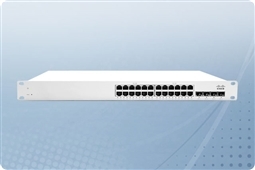 Cisco Meraki MS350 Cloud Managed Series Switches with their high switching capacity and stacking bandwidth are the ideal solution for medium size businesses, campus networks, and high traffic connectivity environments! These powerful cloud managed switches offer very high bandwidth for stacking and support up to 8 stack members for the redundancy and performance that SMBs depended on. 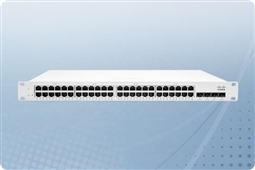 In addition the Meraki MS350 Series Switches all have 10GbE uplinks and low power consumption, delivering a powerful device with a low energy footprint in one. Enterprise Cloud Controller licenses also make the Meraki MS350 simple to manage and deploy with features such as network connectivity and cable integrity test, latency measuring tools, per port remote pcap packet captures, and so much more! Aventis Systems bundles all of our Cisco Meraki MS350 Series Switches with a minimum 1 Year Enterprise Cloud Controller License (Including Support). In addition all Meraki MS350 Cloud Managed Switches come with a standard 1 Year Comprehensive Hardware Repair Warranty with upgrades available to Extended and Express Warranties as well as Onsite Support. So shop below and best for power, throughput, stacking, and ease of management to your business with the Cisco Meraki MS350 Series Cloud Managed Switches!